The World Series of Poker (WSOP) has opened up nomination voting on their website today. Players can vote for who they want to see nominated for the Poker Hall of Game Class of 2012 at the WSOP website. The voting doesn’t normally open this early, but the 2012 WSOP Main Event final table had to be bumped up to October because of the 2012 US Elections. 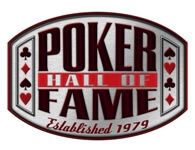 As always there will be 1-2 poker players voted into the Poker Hall of Fame in 2012. The 2012 Poker HoF presentation will be held in Las Vegas during the 2012 WSOP Main Event final table in October. Voting will remain open for several weeks and then at the end of the voting the top 10 nominations based on fan voting will be reviewed by the Poker HoF Governing Council. Before casting your vote you should understand some basic criteria. The most important rule is that the poker player needs to be at least 40 years old at the time of nomination. Other criteria you should keep in mind include voting for players that have played consistently well over their career, played the top competition and played high stakes. Once the fan/player nominations have been tabulated and reviewed the final voting will take place. The players in the Poker HoF will each have a vote and members of a blue ribbon media panel will also each have a vote. In the last two years we’ve seen two members get inducted into the Poker Hall of Fame and I would think that we’ll see two players again. In 2011 Barry Greenstein and Linda Johnson were voted into the Poker HoF. The poker players that were nominated in 2011, but didn’t receive enough voted to be inducted include John Juanda, Huck Seed, Scotty Nguyen, Jen Harman, Jake McClelland, Tom McEvoy, Annie Duke and Marcel Luske. I expect many of the same players to be nominated in 2012 as well. With the world’s best poker players and ambassadors already inducted into the Poker HoF it’s an achievement that many of the best poker players strive for throughout their poker career. Keep in mind that you don’t need to vote for a poker player either, as you can vote for a non-playing individual that has helped the growth of poker in a positive way with long-lasting results. 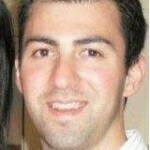 I just finished completing my vote on the WSOP website and I voted for Huck Seed. I’ve always liked Huck Seed because of his gambling mindset. Seed is also a very accomplished poker player that doesn’t get the respect he deserves in my opinion. To place your vote please CLICK HERE.